Akureyri / Mývatn / Húsavík / Ásbyrgi. 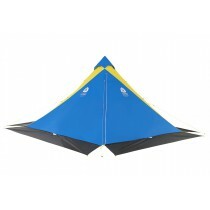 The map includes pictures and information about the most visited places in this area. 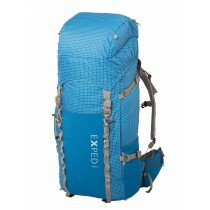 It provides information on roads, distances and services. 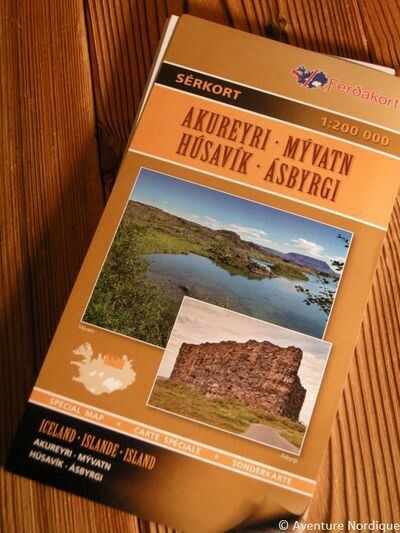 Tourist Map Serkort - Akureyri / Myvatn / Husavik / Ásbyrgi. Scale 1: 200 000. 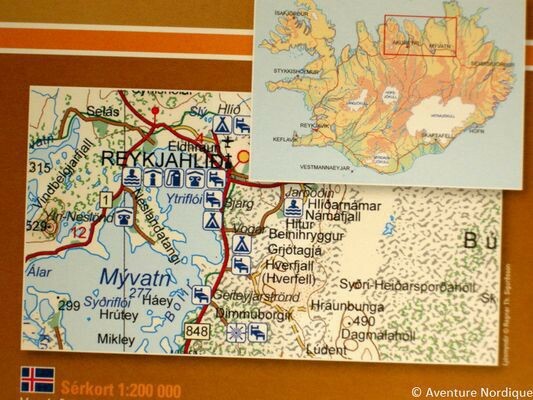 The map covers the northern part of Iceland between Siglufjörður, Akureyri and Lake Myvatn. 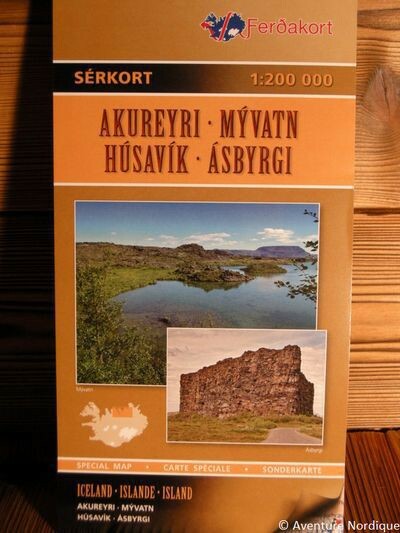 Information on tourist areas: Húsaví, Akureyri, Ásbyrgi and Lake Myvatn.